The Men’s Cross-Country team took first place in the first two meets of the season, and now prepare to enter their championship period ranked No. 14 in the nation for their division. 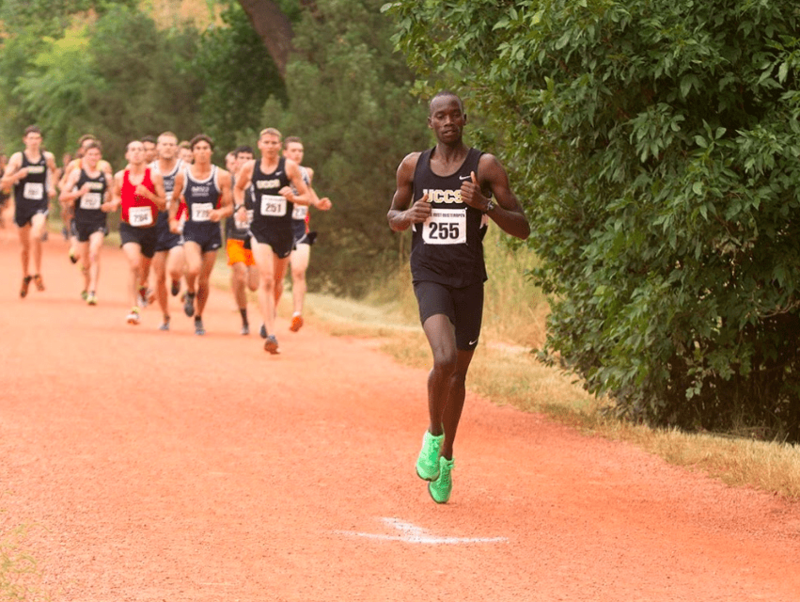 At the Roadrunner Invite, hosted on Oct. 6 by Metro State University Denver (MSU Denver), four UCCS runners had times below the previous course record, earning UCCS the win, defeating Dallas Baptist, the No. 11 team in the NCAA. That No. 14 ranking puts UCCS near the top of a field of 275 Division II teams. Head Coach Mark Misch said that the Mountain Lions are not done yet. According to Misch, training has been more of the same because it does not change much. “We’ve done the work. The house is built,” Misch said, describing the team as a single structural unit with its overall performance determining its soundness. “At this time, it’s time to start painting the house,” putting on the final finishing touches. Having just returned from the Western Washington Classic — a meet that featured three of the top 25 schools in the country, aside from UCCS — the team now prepares in earnest for the Rocky Mountain Athletic Conference (RMAC) Championships, happening next weekend, on Nov. 3, in Denver. And they are looking good, from what Misch has to say. Misch spoke highly of his runners, putting confidence in their abilities at this point in the season. “They have good leadership,” he insisted, pointing to team captains Sam Nofziger and Willie Moor, a junior and a senior, respectively. “All the guys are a joy to work with,” said Misch, adding that they know what to do. The team has seen nothing but success, finishing first of five at the UCCS Rust Buster and first of 12 at MSU. Now, they prepare for the RMAC and NCAA championships hoping to live up to their top 10 preseason ranking. Two weeks after the RMAC meet, the NCAA South Central Region Championships will pit UCCS against eight other universities in Colorado, including Adams State, Colorado Christian University, The School of Mines, Colorado State University Pueblo and MSU Denver. The Nov. 17 event will be followed by the national championship meet on Dec. 1.